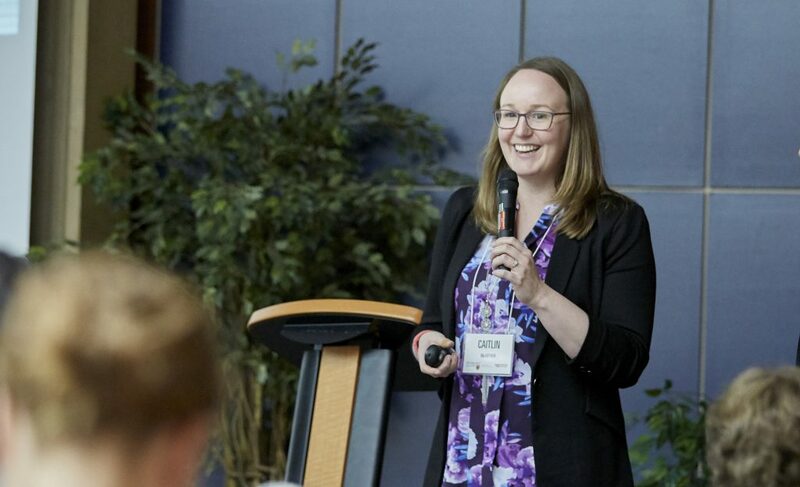 This October, the ABLE team had the opportunity to present at the MIRA Catalyst Grant Networking Session, an event designed to showcase the projects funded by the McMaster Institute for Research on Aging (MIRA). While at the event, the team, including Dr. Paula Gardner, Dr. Rong Zheng, Caitlin McArthur, Stephen Surlin and Adekunle Akinyemi spoke about the ABLE project and networked with other researchers. Able is a wearable platform designed to encourage physical therapy and exercise. When players exercise, their movements generate pleasurable sound and visual experiences. These incentivize users to continue physical therapy on a daily basis and in pairs. We are currently testing the beta version of ABLE with residents of AMICA Mature Lifestyles community, and with physical therapists and care givers. Look for updates on ABLE research here! We just finished outfitting Pulse lab! We have a loungey brainstorming space, making spaces, boardroom table and interaction space; coming soon will be a new dance floor! This month too our amazing ABLE team (from Health and Medical Sciences, Computer Science and Humanities) met to test out our gesture based biometric interface and brainstorm first steps for our project. We will be reaching out to partners in senior residences, to create apps that help seniors with dementia to engage in physical arts based practices in their homes with family and caregivers. The goal is to bring pleasure and interaction to lessen boredom and isolation and improve mood and quality of life.